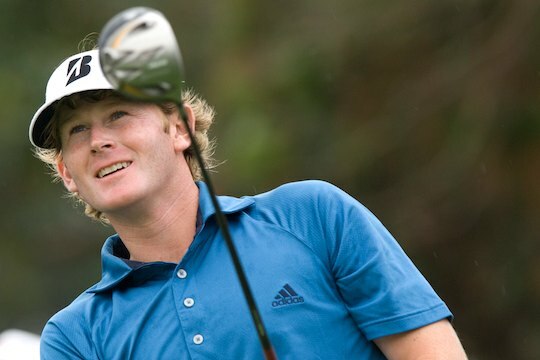 Brandt Snedeker has won the season ending PGA Tour Championship by three strokes in Atlanta. Snedeker, 32, shared the overnight lead with England’s Justin Rose, carded a two-under-par final round 68 for 10-under-par total, three better than Rose who finished in outright second at 7-under-par. Luke Donald fired a final round 67 to move eight places to finish at 6-under-par and in a share of third position with American Ryan Moore. Webb Simpson and Bubba Watson finished in a tie for fifth at 5-under-par, with Tiger Woods firing a final round 2-over-par, 72, to finish in a tie for eighth position with Hunter Mahan, who fired the day’s low round with a 66. Rory McIIroy shot a final round 74 to slip down the leaderboard six places to eventually finish in a tie for tenth position at 1-under-par. Snedeker was also recently named as a wildcard pick for the Ryder Cup, which starts on Friday in Chicago. The American was one of five players – along with Northern Ireland’s Rory McIlroy and US trio Tiger Woods, Nick Watney and Phil Mickelson – who knew that victory in Atlanta could be enough to also win the US$10,000,000 bonus FedEx Cup series. Had Rose beaten Snedeker in Atlanta, it would have given his Ryder Cup teammate McIlroy overall victory in the FedEx Cup standings. Snedeker attributed his winning form in Atlanta primarily to his putting. “I putted great all week, and you needed to do that in this wind and on this golf course,” said Snedeker. Coming into the Tour Championship, Brandt Snedeker’s 2012 had already been deemed a massive success. With a win early in the year at the Farmers Insurance Open, 6 top 10′s on the PGA Tour, a spot on his first Ryder Cup team and over $3.5 million in season earnings in the bank were already to his credit. Snedeker’s efforts at The Open Championship, where he led at the halfway mark before eventually taking a share of third place, also played a pivotal role this week. “I kind of lean back on past experiences, for sure,” said Snedeker. With the win Snedeker banked US$11.4 million ($1.4 for winning the Tour Championship and $10 million for the FedEx Cup) to add to his $15 million in career earnings on the PGA Tour. He also became the second straight FedExCup winner to capture the FedExCup and the Tour Championship. Adam Scott shot 72 to finish at three-over-par for the week, thirteen shots back from Snedeker in 19th place. “I was a little bit off and a bit loose this week,” said Scott. John Senden finished back in 26th, 18 off the pace after a final round 75.